We don't get why some people don't like the scaly creatures of the world. Most of the reptiles on this green earth are pretty darn harmless and the ones that aren't, well, they're pretty darn cool. Just think about crocodiles for a second. . . are you thinking about them? Good. No, we don't have any cool facts, we just don't think that people think deeply about this super powerful animal that can live up to 80 years and travel up to 25 miles per hour just by moving their tails. Whoops, turns out we did have facts. Anyway, if you're looking at this product than we probably don't have to convince you how cool reptiles are. You know it already. Really, it's up to you to convince the world with the sweet scaly look that you'll create using this stencil. If you're going for a scaly look with your makeup for your next costumed event, this is the best way to achieve it. Use the makeup of your choice, apply this stencil to your skin, and dab the makeup over top. 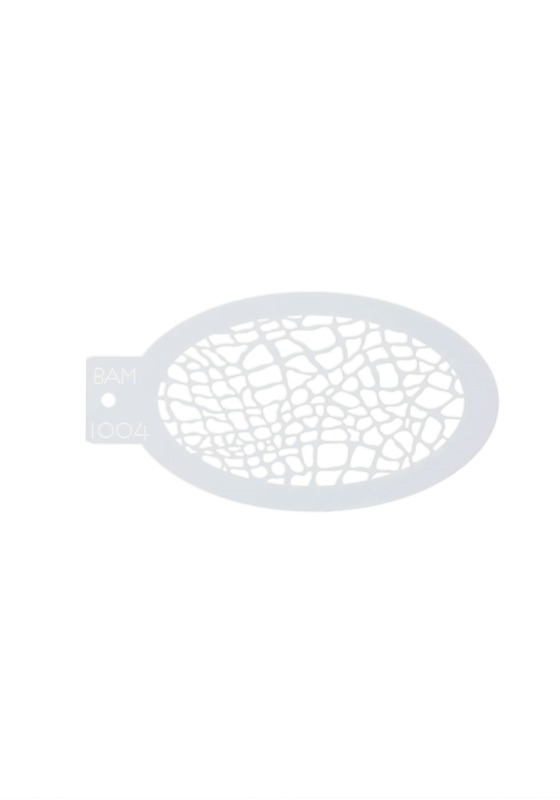 Whether you're going for a prehistoric dinosaur look, you're looking to go as a lounge lizard, or you want to go out as our established favorite, the crocodile, you're sure to achieve that instantly recognizable texture with this simple yet reliable stencil. Once you've got this stencil, you can use it again and again. Though someone is sure to notice that you're dressing as a reptile again and again. When that happens just keep in mind that there are plenty more where this stencil came from. Eventually, you could add a little hint of fish into your unique makeup design. So when people accuse you of dressing up as a reptile again you can proudly let them know that you're amphibious.